The 2016 Consumer Electronics Show has taken over Las Vegas, giving those in attendance a glimpse into the possible future of technology. But which gadgets will become staples of the home of tomorrow — and which ones are destined to languish on the clearance shelf of a big-box electronics store? We’ve sifted through the heap of gadgets being showcased at CES 2016 and found 10 that you will likely want at your fingertips in the coming months. This smart refrigerator has already snagged a ton of headlines from national CES 2016 news coverage — and for good reason. The Family Hub includes a 21.5-inch 1080p monitor and speakers built into its frame that allows for recipe searches, online grocery orders and streaming music. Perhaps this refrigerator’s best feature is a set of interior cameras that allow users to look inside via a smartphone app, as a reminder of what they need at the grocery store. This device has been dubbed the hopeful “Keurig of brewing” by the Associated Press. The Pico is a countertop appliance that brews 5-liter servings of beer, custom-tailored to the user’s taste preferences. Popular beermakers including Dogfish Head and Rogue have reportedly signed up to offer their brews in pre-mixed recipes that are inserted into the Pico, similar to a K-Cup. But the Pico requires a bit of patience, as it takes about two hours to make a batch of beer. This device could be paramount for diabetics or anyone that needs to watch what they eat for medical reasons. The SCiO sensor is a sophisticated, pocket-sized molecular scanner that can provide insights into the makeup of any item it scans, including food and drugs. At a CES demonstration, its makers showed the SCiO could be pointed at homogenous food items including breads, cheeses and chicken and display the fat and carbohydrate content of that item on a connected app called DietSensor. The SCiO could take the guesswork out of eating. Instead of waking up to an annoying barrage of sound, why not wake up to the smell of espresso and hot croissants? Sensorwake uses dry air to safely diffuse packets of particles that are loaded with pleasing aromas. Each packet lasts about 30 days and contains two scents that blend together. If users are unwoken by the scents, a backup alarm sounds after three minutes.unwoken by the scents, a backup alarm sounds after three minutes. The PitPat seems to be a perfect gadget for dog owners who want to know how much activity their pup gets on a daily basis. The small, waterproof device attaches onto most dog collars and keeps track of the animal’s activity level as compared to the needs of its breed. It also transfers the data to a smartphone app, similar to wearable human fitness trackers. The PitPat’s battery lasts about a year and can be replaced with a CR1632 battery cell, similar to those used in a watch. Gone are the days of waiting around with a thermometer under your tongue — or in a more uncomfortable place — to find out if you have a fever. The Thermo uses a series of infrared sensors to give a highly accurate temperature reading in two seconds, simply by touching the device to a person’s head. The lack of invasive readings makes the Thermo more sanitary than previous thermometers. A compatible smartphone app allows for detailed logs temperature readings for an entire family. Smart beds aren’t an entirely new concept but Sleep Number’s It bed offers a lot of sleep-improving functionality for a good price. The bed contains biometric sensors that track the user’s body every second. 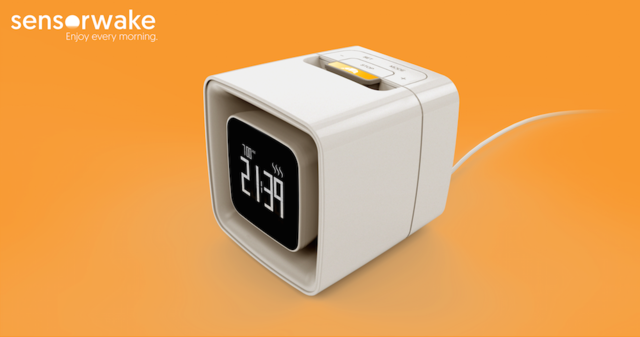 According to Sleep Number , the bed monitors heart rate, breathing patterns and movement to give users a daily look at their sleep quality via a connected smartphone app. The app then offers tips on how the user can improve their sleeping habits. This one is a dream for campers and backyard entertainers alike. The GoSun Grill uses only the sun to bake, boil or fry a meal large enough to feed eight people. The company promises no burnt food and no monitoring needed. For transport, the GoSun Grill folds up to about the size of a breadbox. 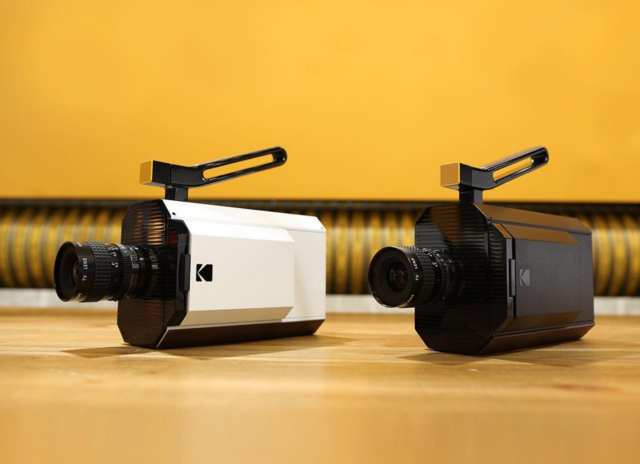 Kodak is banking hard on nostalgia with the return of its legendary Super 8 film camera. This new iteration of the classic 8mm camera used by many young filmmakers over the years will indeed use film instead of digital video. At CES 2016, Kodak said users will shoot their film before shipping it back to the company for processing, then the user can download their finished footage from the cloud for editing on digital platforms. The new Super 8 is expected to be available this fall. The audio geniuses at Monster have touted this new Bluetooth speaker as the “return of the boom box.” The SuperStar Monster Blaster portable sound system features a sleek design with a handle on top. The device features speakers on both sides and a built-in subwoofer. Its built-in battery should last about 10 hours and features connectors for microphones and smartphones.